Have a Plan: The first step is the easiest and the most important step. Have a plan. Making a plan is especially important when you have a small budget to work with. Decisions such as whether or not you would be doing this yourself or getting help, what changes you will be making, what is the new design etc. must be made beforehand to ensure that we stay well within the budget. Explore Alternatives: Once you have a plan and a blueprint of the renovation in place, go through your plan and consider exploring alternatives to help save some money. For example, the entire bathroom floor does have to be tiled. You can use pop color paints on parts of the wall and skip the tile to add a unique look. If your mind is set on tiles, check on Craigslist, eBay or with your contractor if anyone is selling leftover tiles. This will reduce the costs significantly. Use What You Have: A sure-fire way to save money is to use things that you already have in the house for the bathroom. 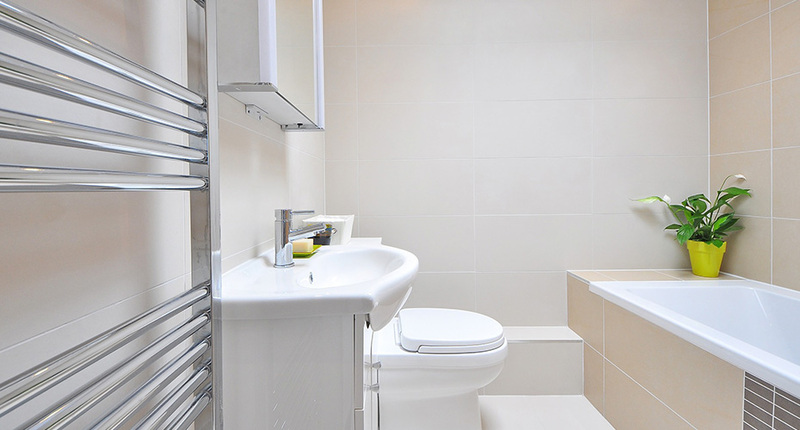 Go through your furniture and check if any shelves or sets of drawers could be moved into the bathroom. If you have any leftover material—say granite—from any countertop work done in the kitchen, you can consider adding granite countertops in the bathroom as well for a classy look. Salvage: Salvage in any way you can. If you are not able to find anything in the house that can be used in the bathroom, then it is time to hit the flea markets, resale shops, garage sales and auctions in your area. The things you can find at these places may pleasantly surprise you. Re-Do, Don’t Re-Create: And finally, consider not changing some of the things in the bathroom. For example, do not change the plumbing. This takes up most of the money. Look around your bathroom and consider these options – don’t change the mirror in the bathroom, but frame it for a fresh look, change the toilet seat and the toilet lid not the entire toilet and resurface your bathtub as opposed to removing the old and putting in a new one.